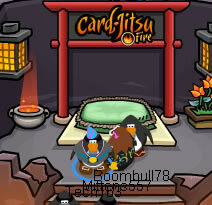 Club Penguin Card Jitsu Fire was released a day early. To play, go to the Fire Dojo. You must already be a member. 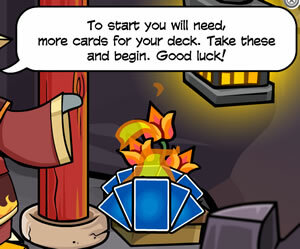 As part of this new adventure, you will receive more Card Jitsu cards. You can either decide to earn your Fire Suit or to challenge Sensei. 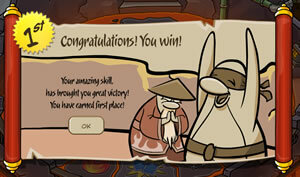 I’m fairly sure it’s just like regular Card Jitsu. You probably have to earn the Fire Suit before you can challenge Sensei. 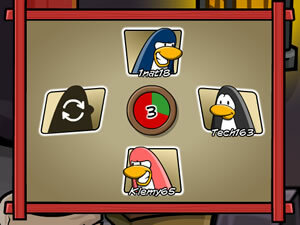 Chances are you will be playing with 3 other penguins. Eventually, you will receive a pair of Flame Sandals. Refresh this page once every few minutes for the latest cheats. The servers are rubbish. Half of the time you can’t even get in the game. 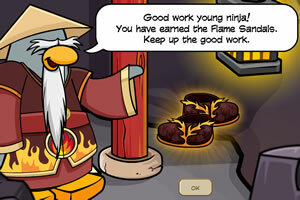 finly i am a fire ninja !!! getting the helmet is hard! THANKYOU SO MUCH! You are very helpfull!